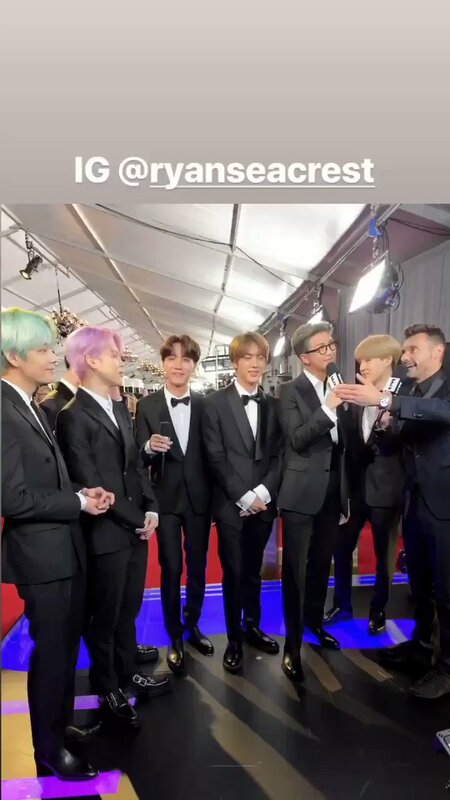 Ryan Seacrest's tweet - "These guys are the best. Have fun tonight @BTS_twt! #Grammys #ERedCarpet #BTSARMY #BTSxGrammys "
Estos chicos son los mejores. Diviertanse esta noche. "Bu adamlar en iyisi. Bu gece eğlendim"